Our public debates are increasingly centered on the question of socio-economic inequality – its increase, its economic and political consequences, its importance to the present and its likely future. Inequality may well be at the root of many of the human rights violations in the world today. 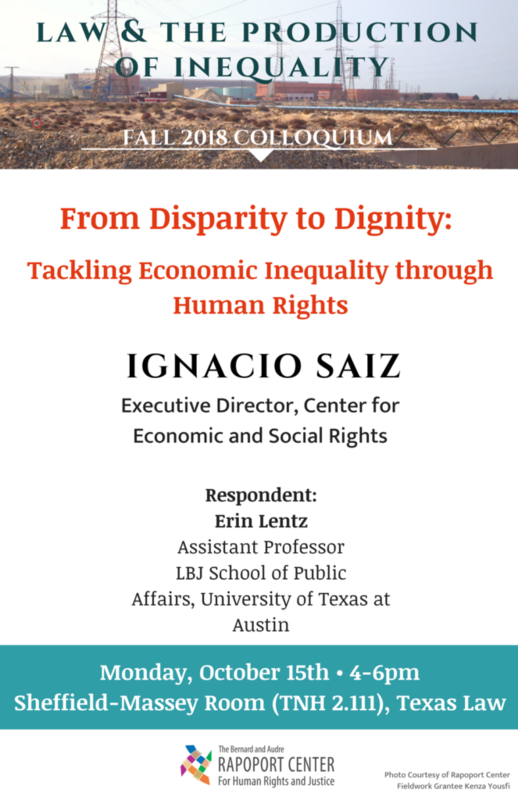 Our Fall 2018 speaker series will explore the role of law (including, perhaps, human rights law) in the production of inequality, and the role of law (including, of course, human rights law) in responding to inequality. The Colloquium presents an interdisciplinary group of scholars who focus their investigations on the ways in which various legal regimes create, reinforce, and/or ameliorate patterns of structural inequality, locally and globally.